Fox News contributor and Leave Means Leave vice chair Nigel Farage on when will British leaders will realize that the further delays on Brexit that may bring them back to square one. May was ensconced in a crisis meeting at her country residence Chequers with fellow Conservatives and outspoken Brexit advocates like Boris Johnson, Jacob Rees-Mogg and others who would prefer to leave the European Union without a divorce deal rather than delay Britain&apos;s departure from the bloc further. Hammond said Sunday that senior party members plotting to oust May were being "self-indulgent." He said a change of leadership would not provide a solution to the U.K.&apos;s political deadlock on Brexit. "We&apos;ve got to address the question of what type of Brexit is acceptable to Parliament, what type of way forward Parliament can agree on so that we can avoid what would be an economic catastrophe of a no-deal exit and also what would be a very big challenge to confidence in our political system if we didn&apos;t exit at all," Hammond said. The Cabinet is focused on the best way to get May&apos;s withdrawal plan passed in the House of Commons, Lidington said. The U.K.&apos;s departure from the EU was set to take place on March 29, but the absence of an approved divorce agreement prompted May last week to ask the leaders of the 27 remaining member nations for a postponement. 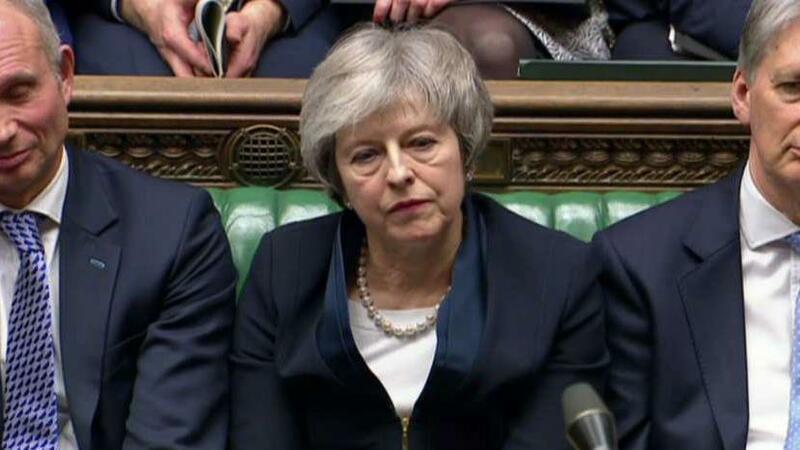 The leaders agreed to delay Brexit until May 22, on the eve of the EU Parliament elections, if the prime minister can persuade Parliament to endorse the twice-rejected agreement. If she is unable to rally support for the withdrawal agreement, the European leaders said Britain only has until April 12 to choose between leaving the EU without a divorce deal and a new path, such as revoking the decision to leave the bloc or calling another voter referendum on Brexit. "I&apos;m afraid it&apos;s all over for the PM. She&apos;s done her best. But across the country you can see the anger. Everyone feels betrayed," Freeman tweeted. "This can&apos;t go on. We need a new PM who can reach out & build some sort of coalition for a Plan B." May also faces pressure from groups demanding a second Brexit referendum. Huge crowds turned out Saturday for an anti-Brexit protest march in London, where organizers claimed more than 1 million people attended. And an electronic petition designed to cancel Brexit altogether passed the 5 million signature mark on Sunday.